Do you know which lipstick is safe for a gluten free client? How about toothpaste? 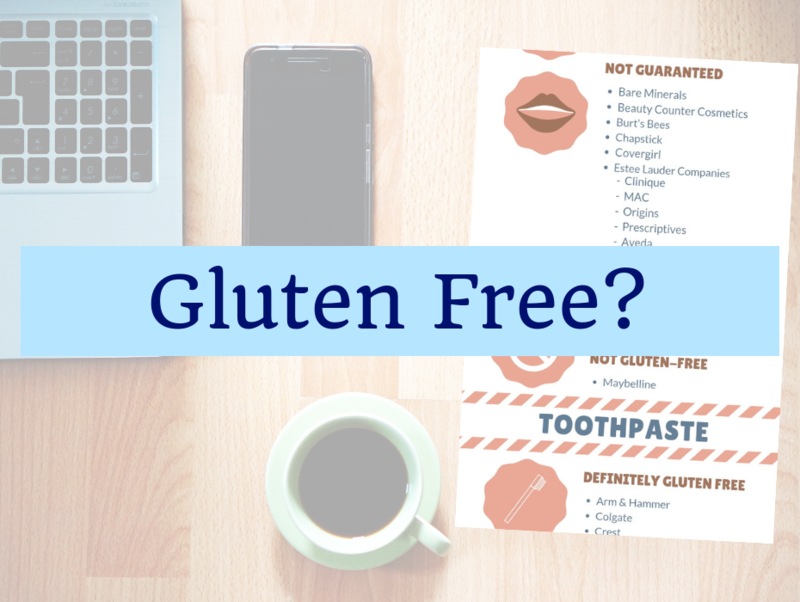 I have been counseling gluten free clients for years and have never had an accurate well-researched list of safe gluten free products. No celiac website has one either. Blogs are unreliable. So I put in the time (~25 hours) and researched a list of brands (called the companies as well as checking their websites). Each list has three sections: Gluten free, not guaranteed (not made with gluten but might be contaminated), and not gluten free. References, website links, company wording, all included by brands. Use for your own education and reference OR pass out to your clients as a much needed rare resource. I am president of Health Takes Guts Inc. and has been in private practice for 13 years in MetroWest Boston. I practice integrative and functional nutrition and specialize in gut health.